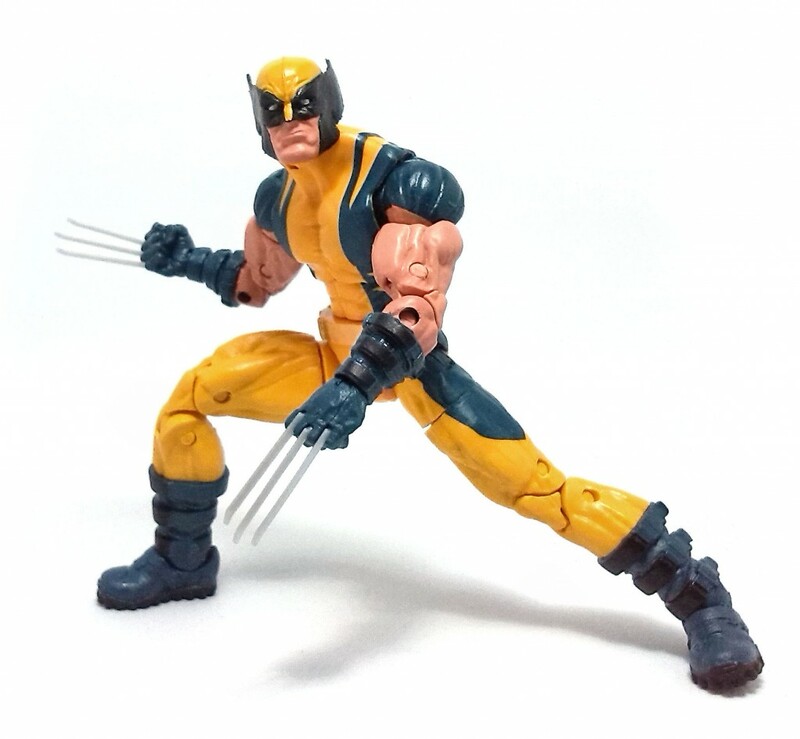 Some time ago, I reviewed the Wolverine action figure released in the Hit Monkey wave of figures from Hasbro’s Marvel Legends line. 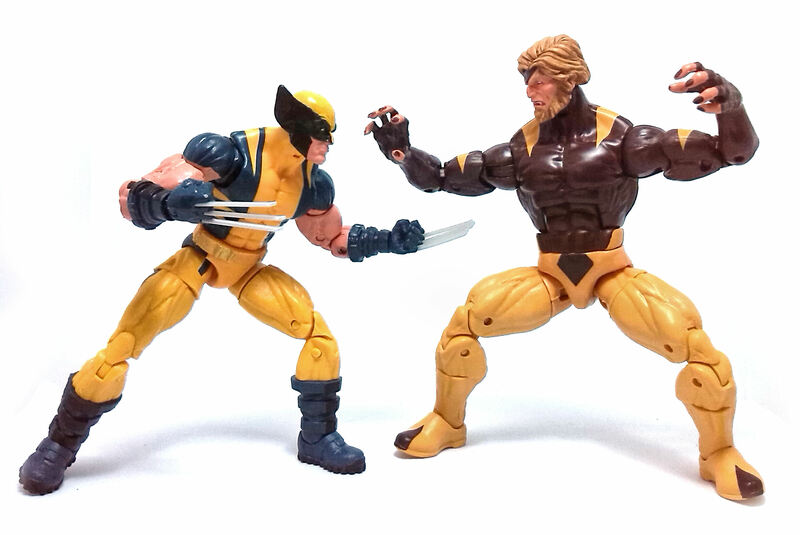 That version of the Canadian berserker had the black/silver X-Force uniform, and in the closing paragraphs of that review, I declared that I would buy that mold again if it ever came out in the classic Wolverine colors. Well, Guess what? Hasbro did re-release that same figure with the Puck wave of figures that was a Diamond exclusive, but in the more familiar yellow/blue color scheme. 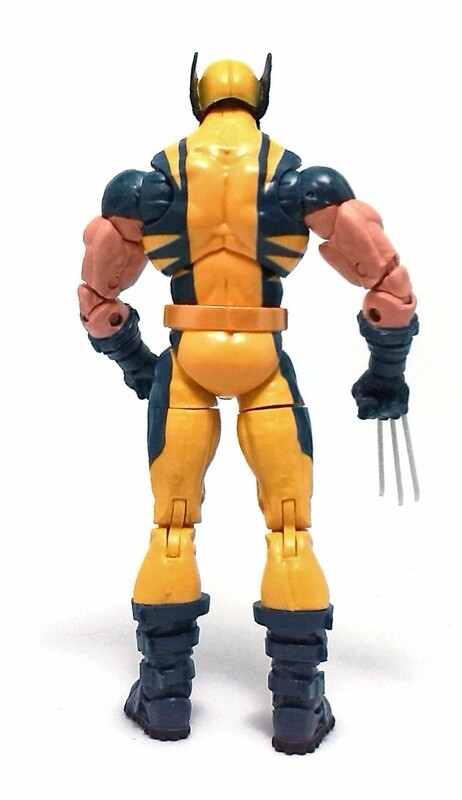 Unfortunately, some of the molds do seem to be degrading, as the claw inserts on my figure tend to wiggle a little bit and there are rather conspicuous gaps in the upper thigh joints. The joints still work well and feel very sturdy, but I think this affects the overall appearance. 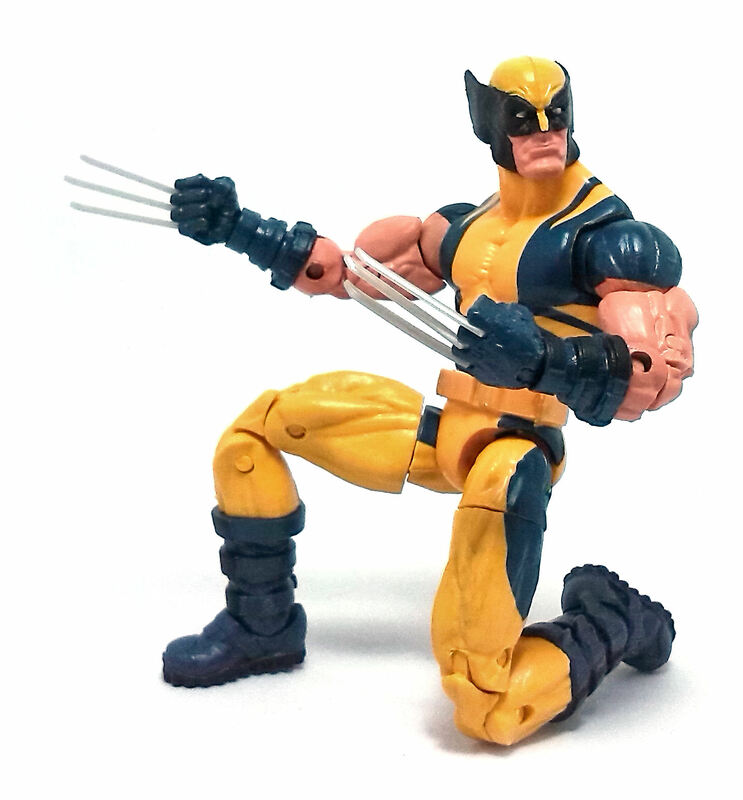 This time around, Wolverine was molded mostly in golden yellow plastic, with the biceps and elbow hinges molded in flesh colored plastic, the boots and shoulder pieces made from a dark blue plastic and the head molded entirely in black plastic. The paint applications are deceptively simple; the paint of the flesh-colored areas adjacent to the blue sections are a good match for the flesh colored plastic and the geometric panels on the costume are painted very neatly, although there were some spots where the color would not go all the way into the deeper recesses of the figure. The paintjob on the head was kept very simple and it looks good, considering how hard it is to get a good coverage when lighter colors are applied over a black base. The one odd thing about the decoration on this figure is that there is no X-symbol anywhere, be it painted or sculpted. 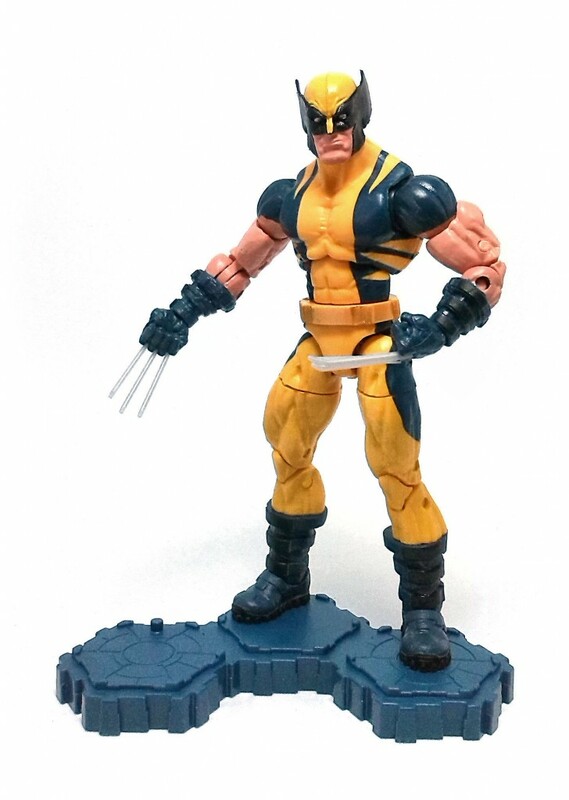 Keeping with the notion that Wolverine action figures need no help to sell through, no piece to complete the Puck Build-A-Figure was included with this guy, but they did give us another of those plastic display bases that look like three hexagonal plates fused together. 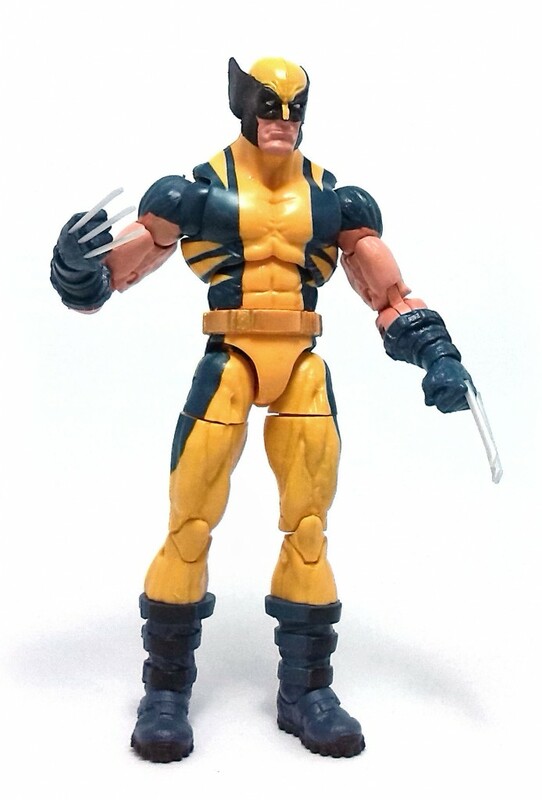 Overall, this is still a pretty good version of Wolverine and I am pretty satisfied with the color scheme and articulation design.